We are delighted that in December 2017, the State University of New York Press, Albany, NY, agreed to continue the publication of “The Writings of James Fenimore Cooper.” SUNY Press was our original publisher, but our agreement lapsed with the death of our founding editor in chief, James Franklin Beard. We then published nine volumes with AMS Press of Brooklyn, but with the death of the AMS proprietor Gabriel Hornstein came the bankruptcy of AMS in late 2017. The distinguished Cooper scholar James Franklin Beard (1919-1989) began organizing “The Writings of James Fenimore Cooper” in the late 1960’s, as his work on publishing his monumental Letters and Journals of James Fenimore Cooper came to fulfillment. Professor Beard’s intention was to provide readers with sound scholarly editions of Cooper’s major works, based wherever possible on authorial manuscripts. 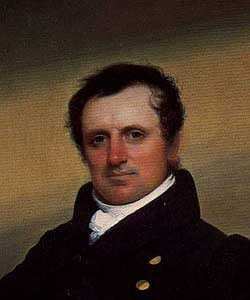 To date, “The Writings of James Fenimore Cooper” (or “the Cooper Edition”) has made available both hard-cover and paperback texts of all the Leather-Stocking Tales and of many of Cooper’s other best-known novels, as well as some of his most important works of political and social commentary.